UNBA was addressed by the defence counsel of advocate Bogatyr V.V. on the violation of their professional rights and professional guarantees of advocate Bogatyr V.V. by the officers of the General Prosecutor’s Office of Ukraine. Committee on protection of advocate's rights and professional guarantees carried out an inspection of the provided facts and established their credibility. On the results of the carried-out inspection the Committee on behalf of UNBA addressed the UN Special Rapporteur on the independence of judges and lawyers, International Bar Association (IBA), The International Commission of Jurists (ICJ) and Council of Bars and Law Societies of Europe (CCBE) in connection to the violations of professional guarantees of advocate Bogatyr Volodymyr Viktorovich and professional rights of his defence counsel. The appeal to international organisations was sent by the UNBA President Lidiia Izovitova. In particular, violations consisted of paragraph 13, Part 1 of article 23 of the Law of Ukraine “On the Bar and Practice of Law” and paragraph 1, part 1 of article 481 of Criminal Procedure Code of Ukraine, which specify an advocate as a special category of persons, to which a special procedure of criminal proceedings exists, it provides that a written report of a suspected criminal offense by an advocate may be made exclusively by the Prosecutor General of Ukraine, his/her deputy, the prosecutor of the Autonomous Republic of Crimea, the region and the cities of Kyiv and Sevastopol. On the 1st of September 2017, the pre-trial investigation prepared a suspicion against advocate Bogatyr V.V. which was signed by Yu.V. Stoliarchuk, Deputy Prosecutor General. An attempt to serve a notice of suspicion to advocate Bogatyr V.V. was made by O.A. Krupka, investigating officer of the Prosecutor General's Office of Ukraine, using mail service. The Committee sees this as incompatible with the requirements of the Criminal Procedure Code of Ukraine, as the attempt to serve the notice of suspicion was made by a person lacking any proper authority. The appeals include facts of systematic violations of professional rights of defence counsel of advocate Bogatyr V.V. In particular, the officers of Prosecutor General's Office of Ukraine conduct actions, by which they prevent the lawyers of advocate Bogatyr V.V. from protecting his rights, by not granting access to the lawyers to criminal case materials and by not acknowledging the lawyers, as protecting the rights of advocate Bogatyr V.V. in the criminal case. 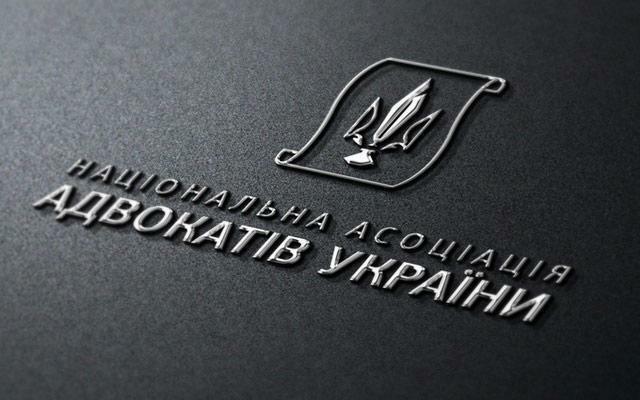 Furthermore, investigators and prosecutors, in contradiction to requirements of article 50 of the Criminal Procedure Code of Ukraine, have taken actions of extortion of additional documents from advocates in order to confirm their authority of defendants, in particular, a written agreement of advocate Bogatyr V.V. to perform his defence in this criminal proceeding. "the ruling of the investigating judge is groundless and is not based on provisions of the laws…"
Also, it appears from the appeal, that the Department of International Police Cooperation (Interpol) rejected the request of General Prosecutor’s Office of Ukraine on the subject of placing advocate Bogatyr V.V. on the international wanted list due to political motivation of the case. International organisations will inform the direction of UNBA on the results of consideration of the respective appeals very soon.